A revered shrine at the bank of holy river Ganges, Varanasi, where fires were still smoldering. Darshika & Kunal tied the knot at this religious & cultural center. The two, who celebrated the ceremony of becoming one in the presence of morning mantra hymns, had chosen to travel to this holy place founded by God himself. 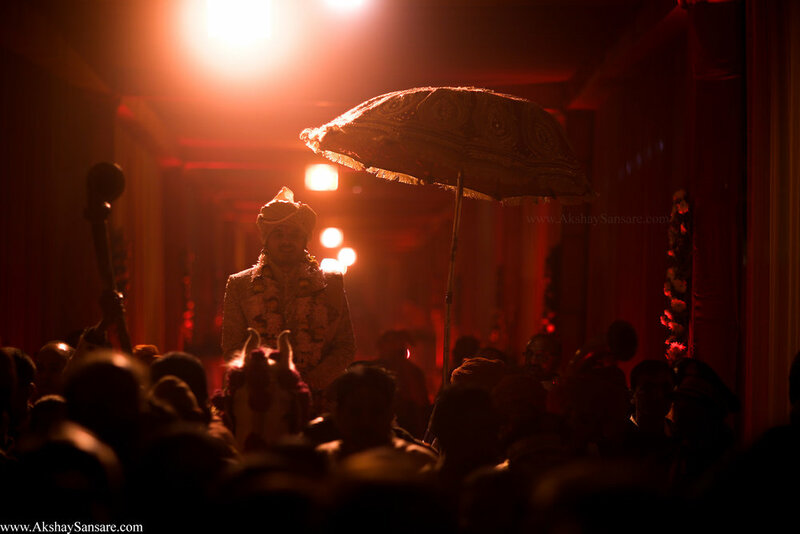 It was an honour to have been given this opportunity to document the wedding of Darshika & Kunal in Varanasi, India, who depicted the modern incarceration of Maharaja & Maharani in their own cozy palace. The wedding as you might imagine, was warm, inviting, passionate. But I might be downplaying it. 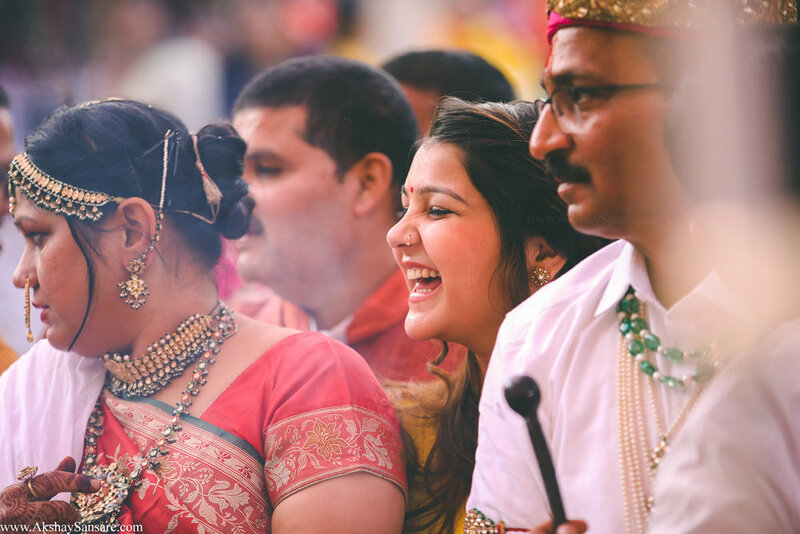 It was indeed a festival which spread over two days filled with laughter, music, dance & the sacred traditions. The ceremony wasn't just about the two, it was about two families who came together & celebrated with all the love in the world. If that alone wasn't enough, the flame ignited by the Bride & Groom was enough to keep all of us warm in the dipping temperature of Varanasi. The two days affair, which started with home ceremony, surrounded us with the spectrum of colors, enough to keep us on our toes throughout. The grand entrance in the colorful rickshaw was definitely the one not to miss out on, especially cause Kunal was the one riding it. It was a treat to watch as the crowd applauded. Team Bride vs Team Groom gave us a tough time as we constantly had to turn our heads without missing a single moment. They were pretty determined to win the battle. As if there wasn't enough heat generated already, entry of Kunal & Darshika totally set the stage on fire. As the ceremony of Haldi began the following day, we unknowingly became the one among them, & we were constantly running for our lives without having our clothes torn off. Traditional banarasi baraat gave us something new to witness as Kunal made a grand entrance on his Ghodi, Darshika wasn't any lesser matching him with her elegant Doli. The two made their way to the mandap as thousands around made a pathway for them. The ceremony that began as the lights faded, concluded with the first rays of sunshine. One of the most amazing weddings that we witnessed was filled with laughter, tears, fun loving & intimate moments. And food, the food, the sweets for which the Banaras is widely known for. What else can we say? You made us one of you and filled us with all kind of sweets & sweet memories. You stole our hearts. Thank you so much for believing in us. Can't wait enough to work with you all again.